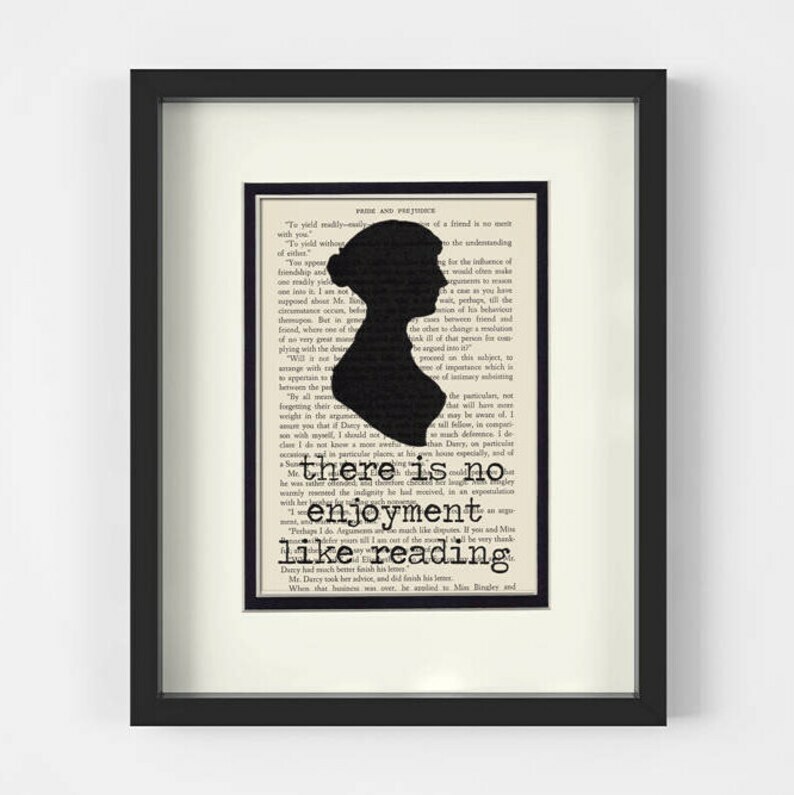 Jane Austen Art Print. Vintage Jane Austen Silhouette (dated 1810) and Original Typography over a Vintage Pride and Prejudice Vintage Book Page. Mounted under an 8x10 creamy white mat with an inner black border. A unique one of a kind piece of artwork. Three graduates...a dentist, an ophthalmologist and a teacher! These were perfect gifts!